please send us an email request and we will get you a shipping quote. Our shopping cart is set up for purchases within the United States only. 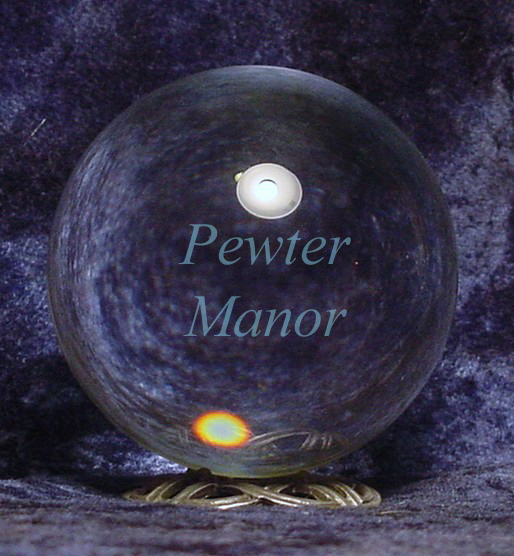 Keep in mind that the larger the crystal ball, the more it weighs. Before we ship, we will send you a payment request for any additional shipping fee due. if you've already made your purchase. 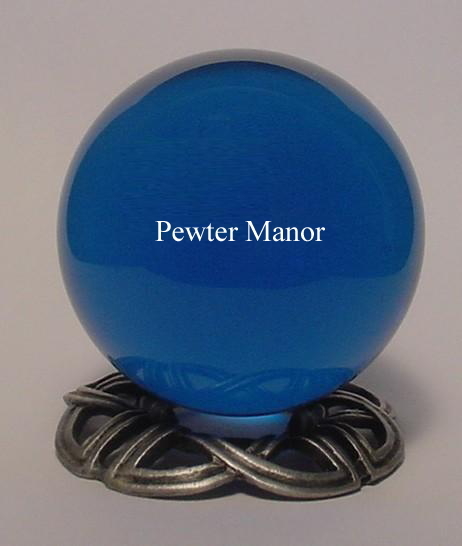 Be sure to read more about our crystal balls after all the pictures!!! Stands are NOT included but are available for purchase at the bottom of the page. and you would receive a partial shipping refund. to awaken and recharge your crystal balls! 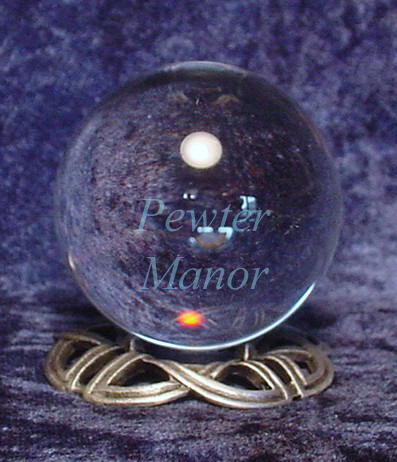 We also have "40mm Optic Calcite" Balls with a Pewter Stand Included. perfect table on the side of the road. Cool, huh? I am sure you could understand without description." Our clear crystal balls are made from genuine QUARTZ CRYSTAL that was pulverized and then melted into a block before being formed into a perfect ball. 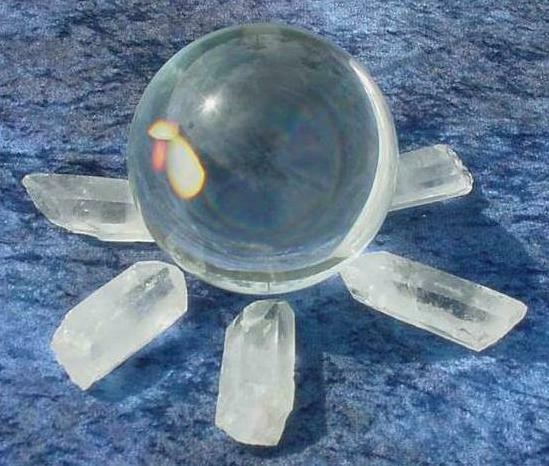 This type of quartz crystal ball (referred to as reconstituted) is made from pure quartz crystal and contains no lead at all. Shown in this photo is a 50mm crystal ball beside the larger and more dramatic 150mm crystal ball (Sunflower Stand shown is available below). The 50mm ball is not included and shown for comparison purposes only. This is a very impressive and spectacular crystal ball. Depending on where you live, additional shipping may be necessary due to the weight of this item. 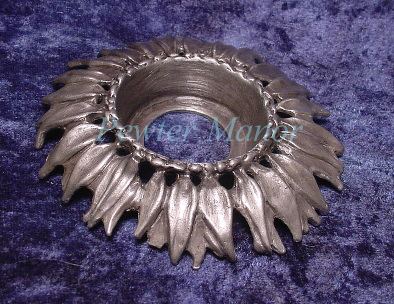 Shown on a Pewter Sunflower Stand (available alone below with our stands). 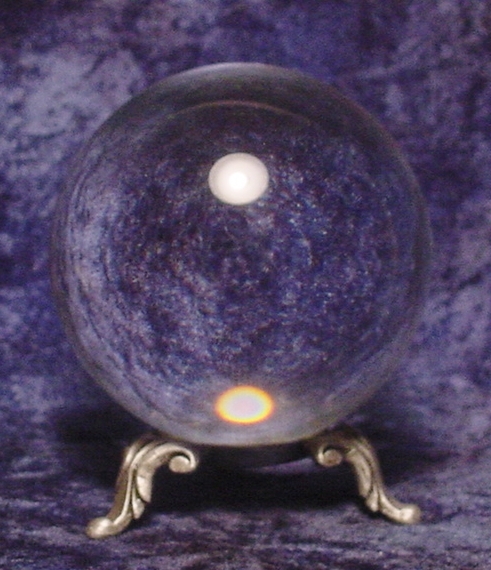 Buy both a 100mm Clear Crystal Ball with the Celestial Moon and Star Stand at a Special Price. 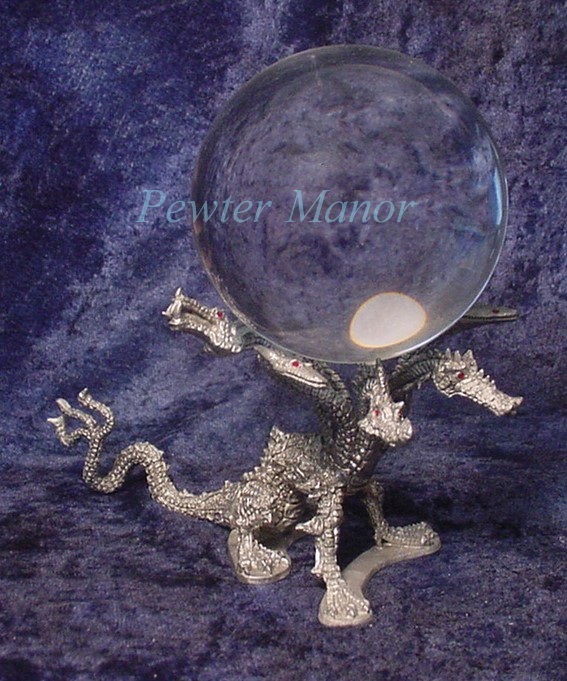 The crystal ball is just over 3" in diameter. 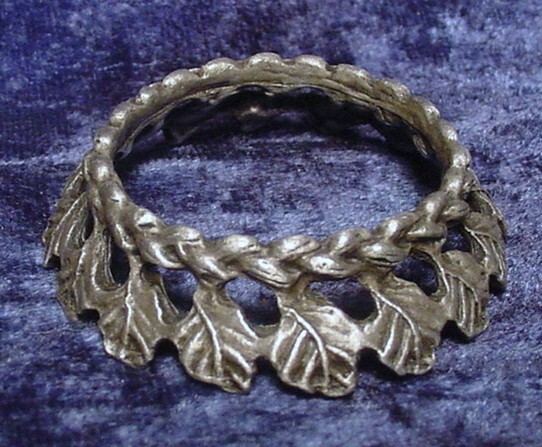 Shown on a Pewter Celtic Knot Stand (available at the bottom of this page). 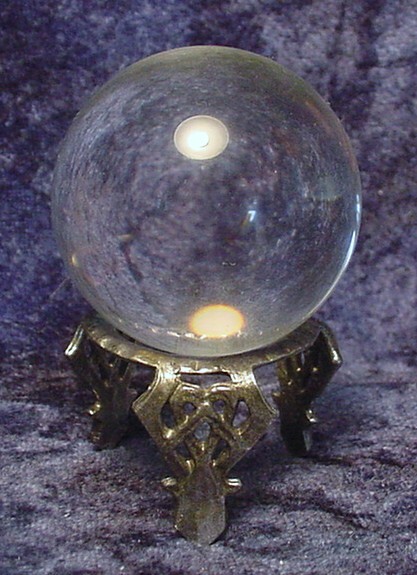 The crystal ball is approximately 2 3/4" in diameter. 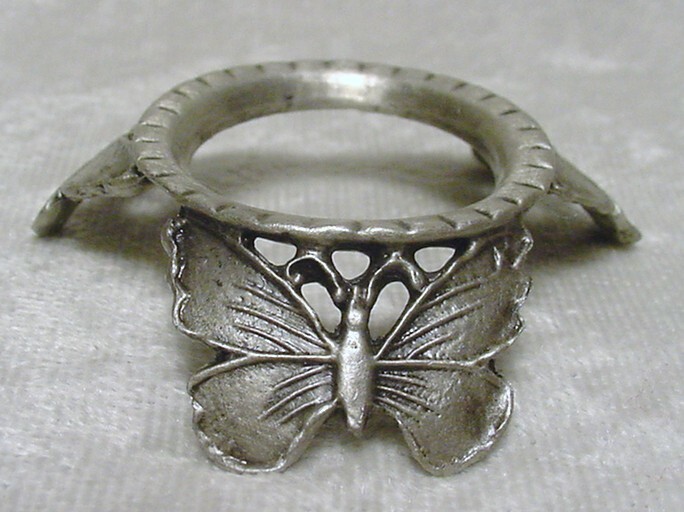 Shown on a Pewter Queen Anne Stand (available at the bottom of this page). 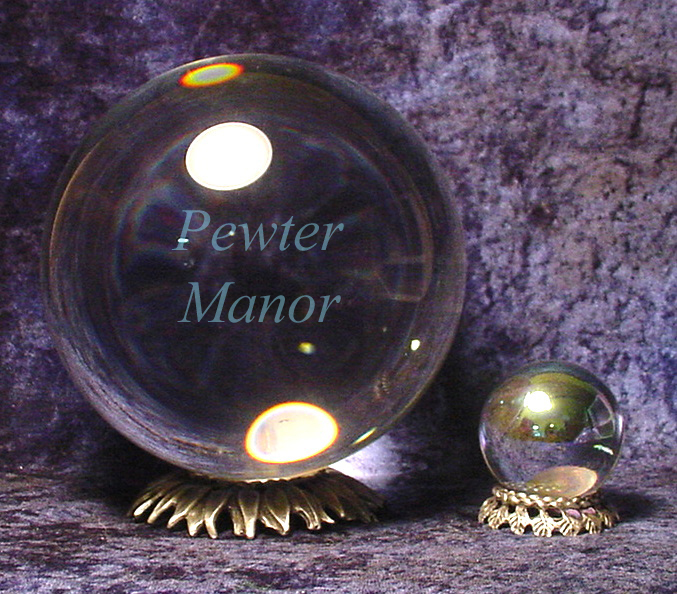 The crystal ball is 2" in diameter. 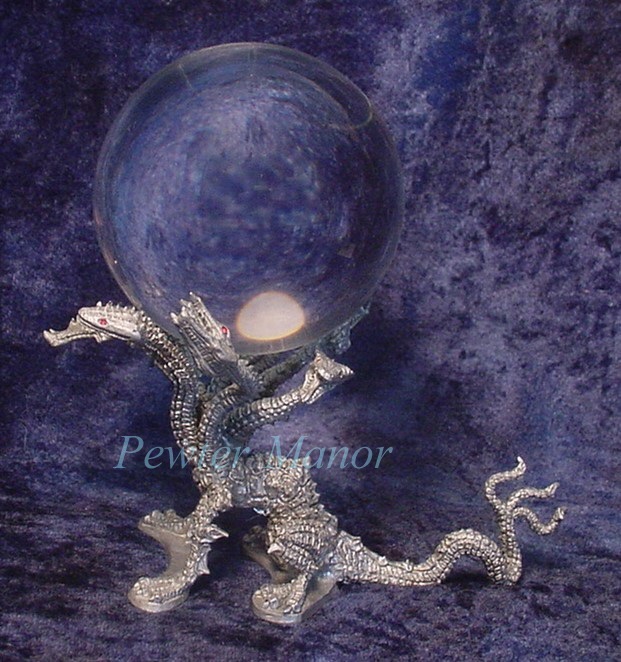 The crystal ball is approximately 1 1/2" in diameter. 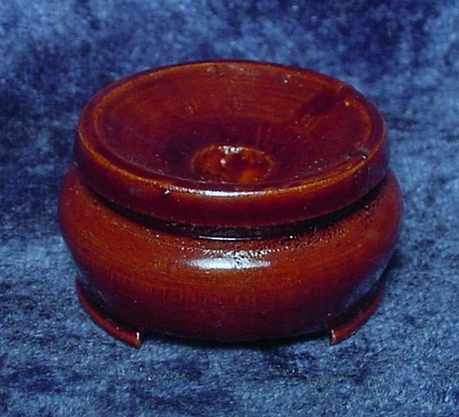 Shown on a stand that is no longer available. Please check lower down on this page and you will find a few stand that will work perfectly with this ball. 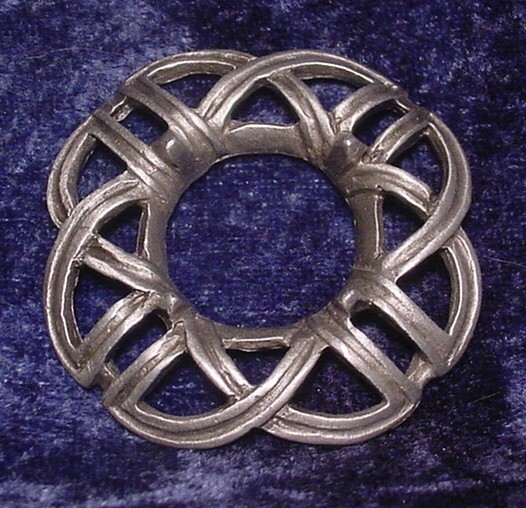 Shown on a Pewter Celtic Pewter Knot Stand (available at the bottom of this page). 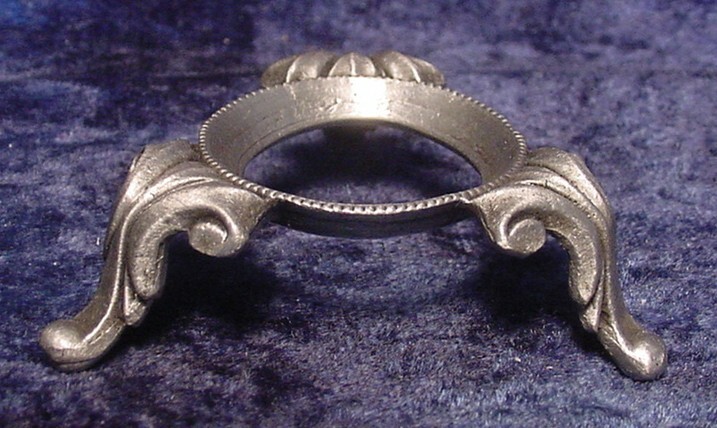 The pewter stand is 7/8" wide. The 7-headed hydra dragon stand is hand-crafted by Rawcliffe. 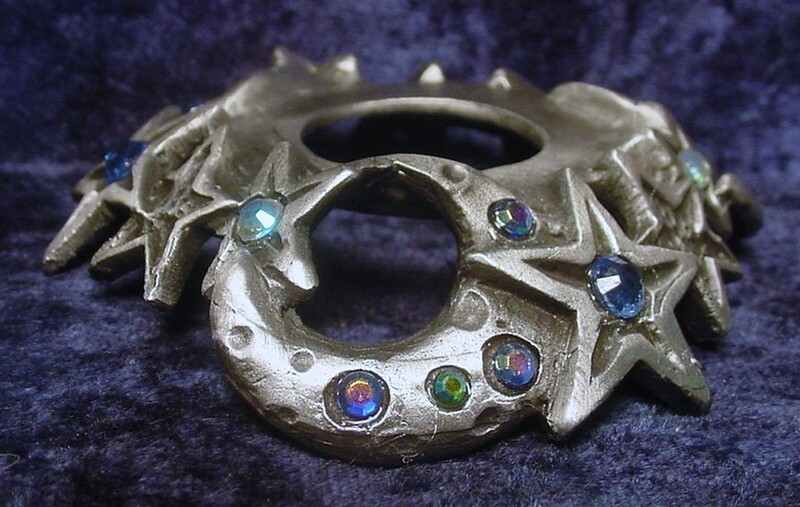 Each of the dragons has red crystal eyes. 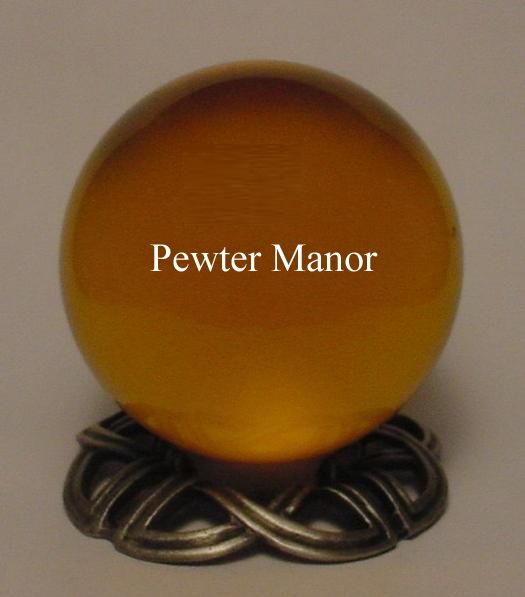 Many who practice the art of scrying or gazing prefer this type of ball to a lead crystal ball because this is all natural with no man-made materials added. 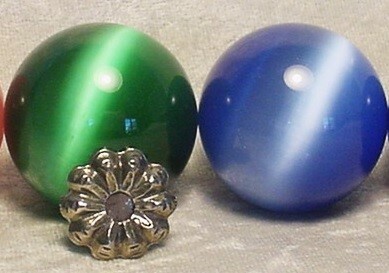 Lead crystal balls or glass crystal balls are much less expensive because the material used to create them are man-made. All our crystal balls are charged during a full moon. 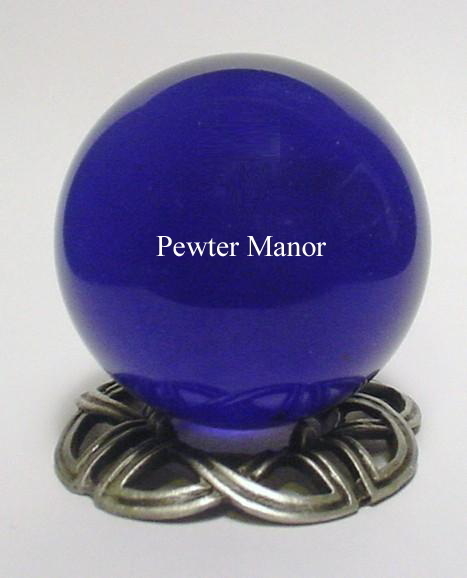 Our understanding of charging (empowering) is that it enhances the scrying capabilities of a crystal ball. Some practitioners believe this makes it even more powerful. This photo shows the positioning of the crystal points. Because our quartz crystal balls are "reconstituted", they need to be "awakened". 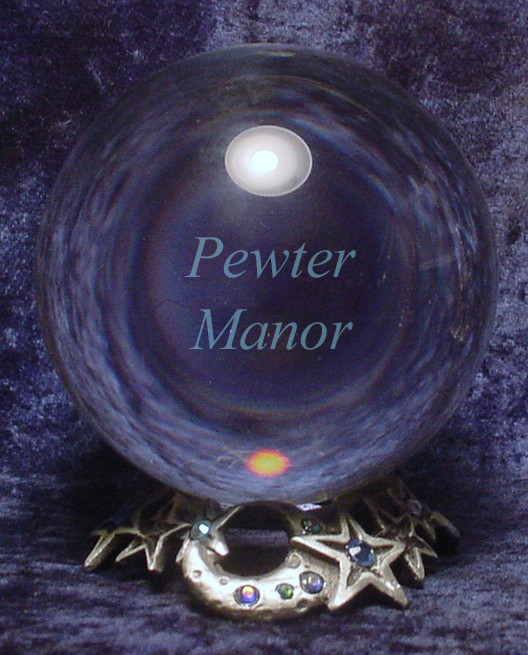 We arrange a minimum of seven quartz crystal points facing inward around the crystal balls. 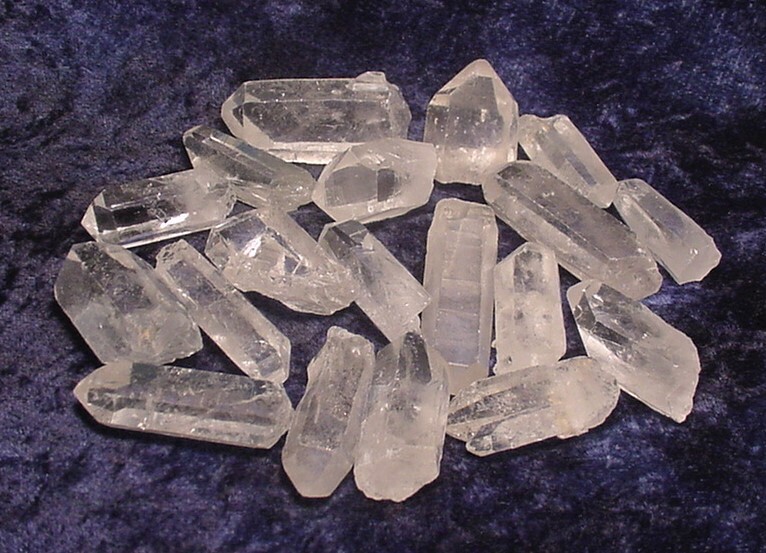 These quartz crystal points are left around the balls for a minimum of 12 hours. 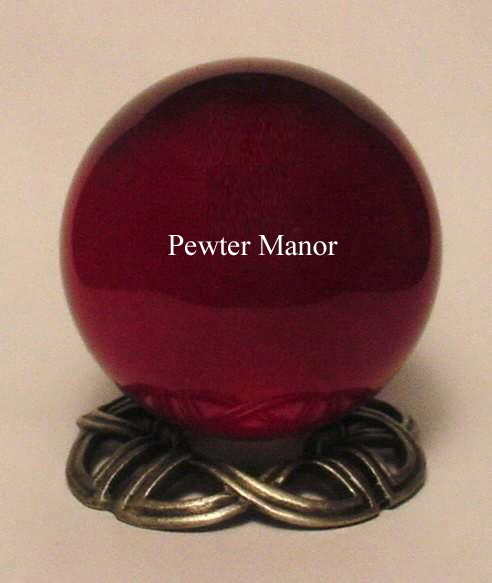 What happens after positioning these crystal points around the crystal ball is amazing. through my body as I pick up the crystal balls. It's not unusual for my arms to become covered with goose bumps. the more powerful and strong the power seems to get. If you're familiar with this sort of thing, you'll know exactly what we mean. Shown is a sampling of the unpolished quartz crystal points we have available. Because each is a unique creation of Mother Earth, please expect variations. The majority range in size between approximately 1 1/4" to about 1 3/4" in length. Remember that they all have the same power and ability to awaken and energize your crystal ball, regardless of size. Have you ever wanted to start scrying or gazing but you don't know how? Here's an easy way to get started (as told to us by a Wiccan friend). In a dark and quiet room, light one or two candles. 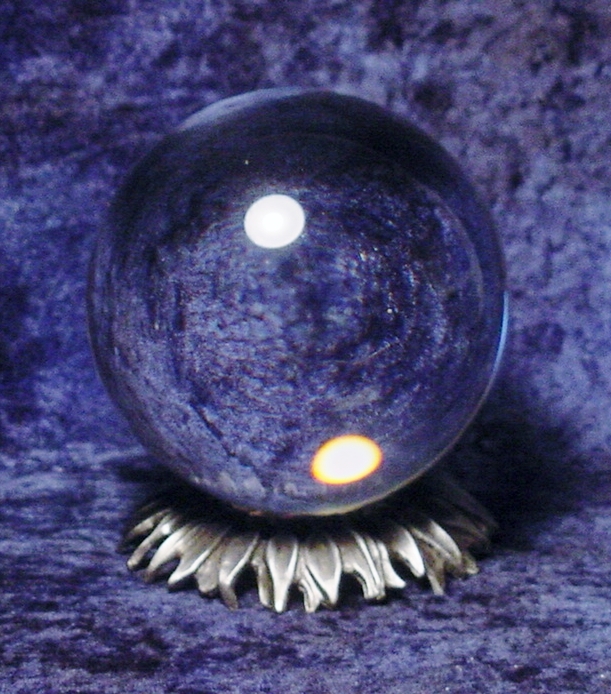 Place the crystal ball on a blue or black velvet cloth on a table or stand in front of you. Burn incense if you like, but it's not necessary. Center yourself before beginning. This is done by gazing into the ball. Try not to blink. Slowly take deep breaths in and out while relaxing and gazing into the ball. You should feel a sense of calm and peacefulness, as though time is standing still. Do this for at least 15 minutes and increase your time by 5 minutes with each succeeding session. forming in the center of the crystal ball. This is called your "focusing area" where your visions will appear. You may or may not get a vision on your first try. It takes several sessions for some people. Go at your own pace, relax, and don't force anything. others get symbolic pictures. Colored clouds are another form that visions can take.